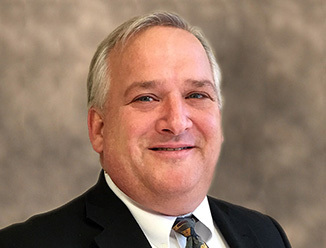 Dan began his professional career in 1991 with Barnes Commercial Group, a retail boutique firm in Cleveland. His 25 years of commercial real estate experience includes retail site selection and market planning for corporate real estate departments, real estate brokerage services, and commercial property management services for over 1.5 million square feet of retail developments. Dan's broad knowledge of the total and complete real estate process affords him the right perspective of analysis, problem solving, and precision execution of services that add value to any team in achieving their goals. 2014-2016 - Dan increased occupancy levels in the shopping center and receivership portfolio he represented from 45% to 83% by leasing 114,568SF generating a deal volume of $7.1 million. 2009-2012 - Dan implemented KeyBank's branch expansion program in the Great Lakes Region, assignment entailed market planning and site selection, where Dan delivered 68 bank branch sites that produced an average IRR of 21.68%, which was accomplished by delivering best in class sites. 2007-2009 - Dan was Transaction Manager at KeyBank, in addition to his retail responsibilities, Dan relocated two district headquarter sites including one grounds up development in Akron OH. 2005- Sold Medina Shopping Center consisting of 160,000SF. Repositioned center by razing a portion for the development of two out parcels including Walgreens and a Starbucks/Chipotle. 2002-2005 - Amherst Plaza redevelopment, converted form grocery store and K-Mart to multi-tenant facility achieving 100% occupancy over two years, with Tractor Supply, Save-A-Lot, Bobel's Office Plus, Pat Catan's Craft Center, and Mamma Joe's Pies. 2000-2002 - Represented Haines & Company in performing full service management, leasing, and advisory functions to increase value of property for investors, complete a loan workout, and the realization of that value thru the sale Blossom Center and Marietta Plaza.